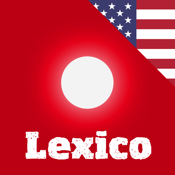 Lexico-Cognition is an App to develop language understanding, vocabulary building, cognitive, memory and auditory skills in a playful way. It was developed and tested by qualified speech therapists. A simple, logical user interface and attractive images motivate even younger children to work independently. All questions are read aloud, allowing children who cannot read to use the App. For reading practice, the sound can be turned off. All the exercises consist of a series of questions to which the answer must be found. To play, the question card must be dragged onto the right answer image. The levels A and B are working exclusively with images - both the questions and the answers are illustrated. In levels C, D, E and F the questions are read aloud (and shown as text). The answers are images. Each level contains five question and answer games. Solved tasks are marked, in order to track learning progress.